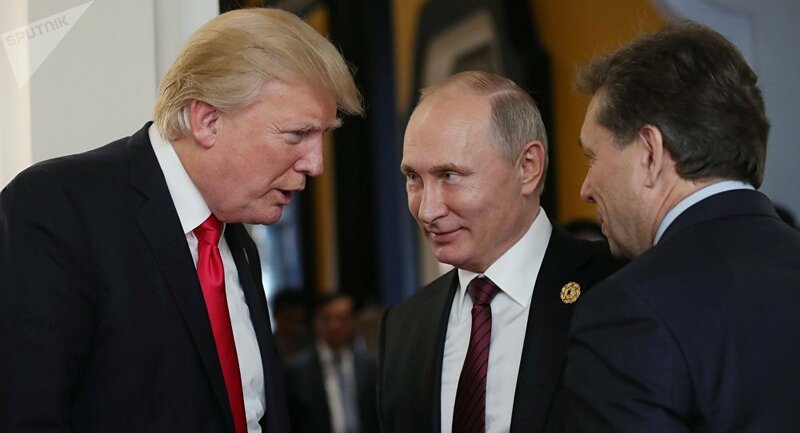 Despite claims that Moscow seeks to influence the 2018 midterm election, US President Donald Trump insisted no foreign power would materially damage the integrity of the US electoral process. "We'll counteract whatever they do," Trump said Tuesday when asked about the possibility of Russian meddling in the upcoming election during a news conference with Swedish Prime Minister Stefan Löfven. Kremlin spokesman Dimitry Peskov has consistently blasted claims that Russia interfered in the 2016 election as baseless, but US media outlets have continued to stoke fears that the "Russians are coming" to ruin US political processes. "The Russians had no impact on our votes whatsoever, but certainly there was meddling, and probably there was meddling from other countries and other individuals," the US leader said. "I think you really have to be watching very closely, you don't want your system of votes to be compromised," Trump continued. He said the US was engaged in a very deep study of the past election, and that any attempts to influence it would be counteracted "very strongly." The president also expressed support for paper ballots as a "back up" to electronic voting machines in order to mitigate and prevent fraud. "One of the things we're learning it is always good — it's old-fashioned — but it's always good to have a paper backup system of voting. It's called paper. Not highly complex computers. Paper. A lot of states are going to a paper backup." When asked about the threat of international powers impacting US politics, Trump said he "won't put blame solely on Russia" since countries around the world are always actively seeking to grow their influence in Washington.